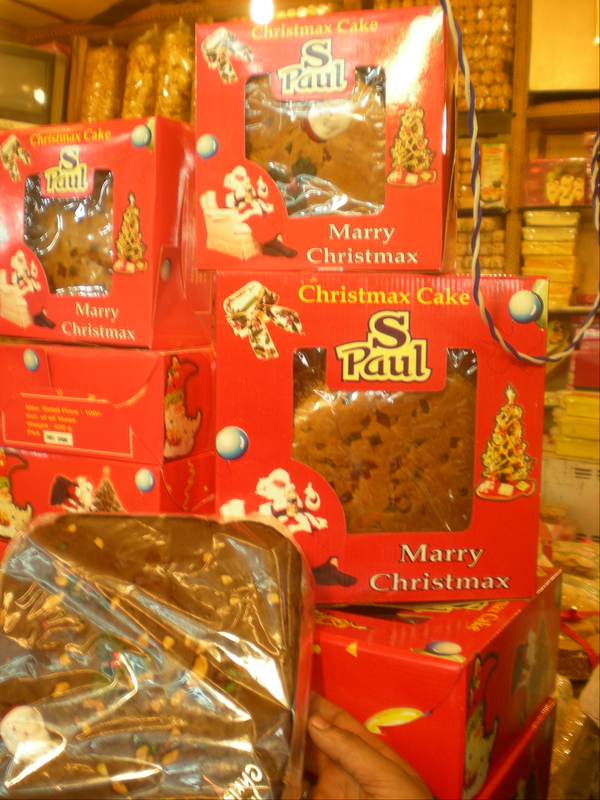 The bakery in INA Market was feeling festive yesterday – I couldn’t have put it better myself. Marry Christmax from me too! i was just guessing if u have tried the Yogart/Lassi based yellow colored Kadi (usually eaten with steam rice) one of the Punjabis and northen indian lunch dish, usually made in dhabas or resturants on Tuesday. Just try some time I guess u will like it and its lot of variants are avilable around India with more spices (south India), with Gur(Gujarat), etc. Its round the yr kind of dish. Another try for you during winters is the Punjabi famous sarsoon ka saag awith butter & makki ke roti, avilable arnd most of dhabas and resturants in Delhi during winters. Lols….this is incredible….have to find out the christmax !! love your blog too, have not yet got around to trying the sitaram dewanchand recipe. With all the mis-spellings, I think an abbreviated dictionary should be put out for these spelling-challenged guys. One classic noted elsewhere in india “Child beer” for chllled beer. Yikes! Narender – that’s half the fun! Very happy festive season to you all too! Amarjeet – thanks for all the tips – so much to eat, so little time! I guess if the person is on road/travelling can enjoy much better rather then sticking round a schedule, thts my philosophy as tht bring element of surprise in everything weather food, travel, adventure, meeting new peoples, etc. this way surprise and adventure become part of daily habit/routine.